Want to be notified of new releases in luangjokaj/fuzzymail? Problem: Supporting old email clients it's a real pain. 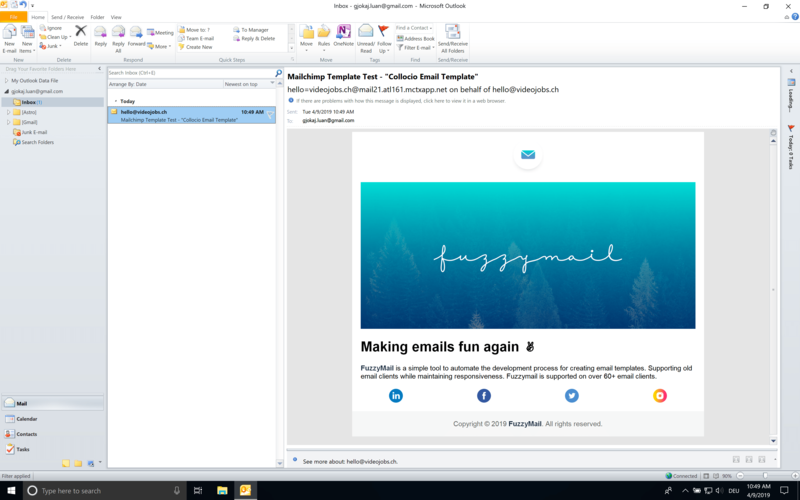 I wanted to create something that can be flexible in design and yet support legacy email clients like Outlook. 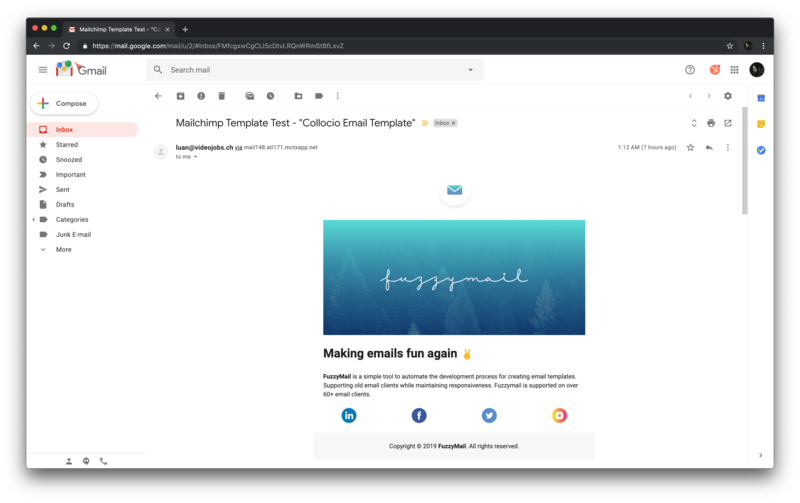 Solution: FuzzyMail - is a simple tool to automate the development process for creating email templates. Supporting old email clients while maintaining responsiveness. 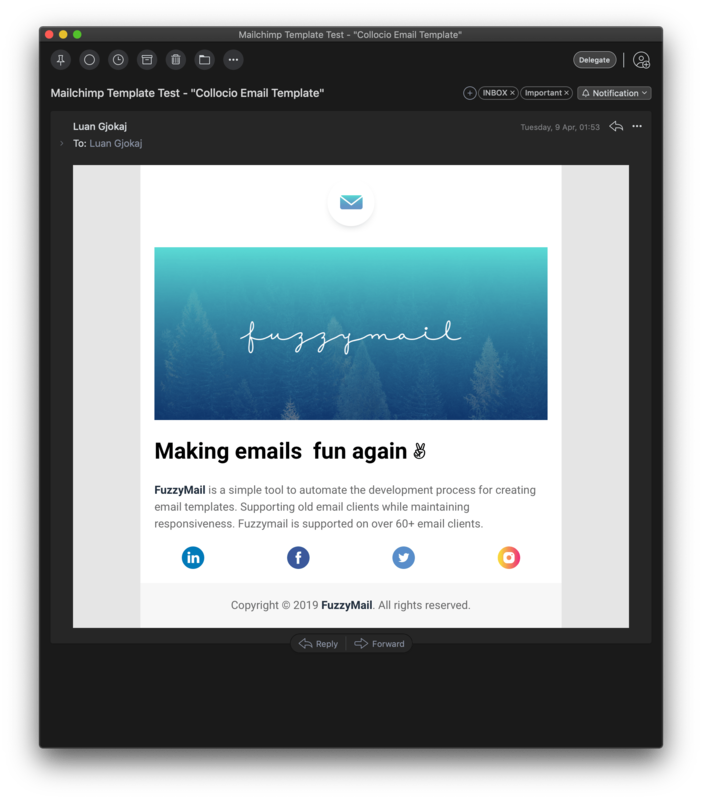 Fuzzymail is supported on over 60+ email clients. FuzzyMail requires Node v7.5+. This is the only global dependency. You can download Node here. To avoid repetitive HTML code the build uses gulp-file-include, it allow us to re-use chunks of code written in separate files. It is recommended to place the included files in the /src/includes directory to keep track of changes and live-reload. All styles will be inlined.